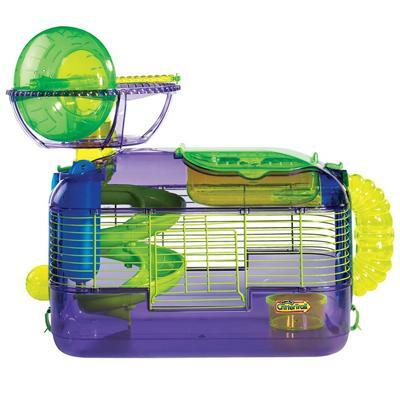 This complete habitat is ideal for dwarf hamsters, gerbils and mice! It features an exterior wheel and a spiral ramp to provide your pet with hours of stimulation and exercise during the wee hours of the night. There is a removable petting zone for instant interaction, and with this new detachable design, cleaning and assembly are a cinch! 6mm wire spacing provides security for even the smallest furry friends.